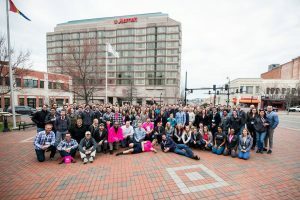 Triangle Tech Connect, launched in November 2015, is a monthly review of entrepreneurial technology sales jobs and marketing jobs in the Raleigh, NC area. 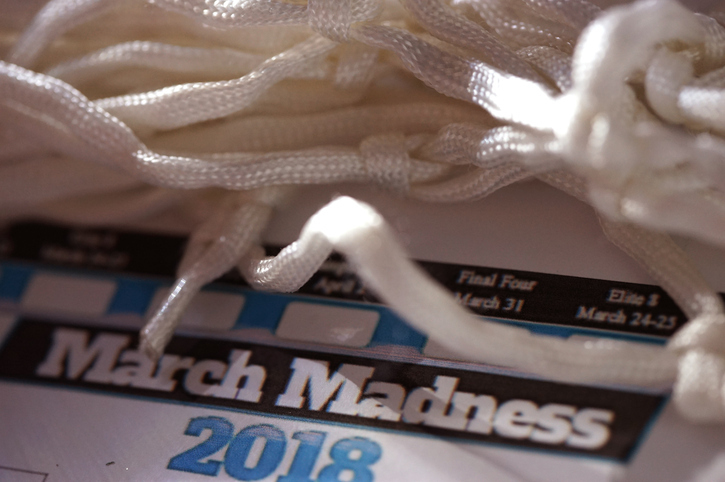 If you’re in a career slump in the middle of March Madness and you need a sales job or a new marketing job then be sure to take a look at the Triangle companies that are hiring. It’s time to get your game on! 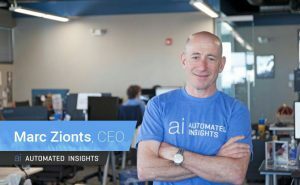 Automated Insights created a platform to help companies in data-driven industries, including financial services, e-commerce, real estate, business intelligence, achieve content scale, efficiency, and personalization. Their patented Wordsmith platform takes a story structure and a dataset and generates up to millions of pieces of content that sounds like a person wrote each one of them individually. More than 200 customers, including Allstate, The Associated Press, Edmunds.com, the Orlando Magic, and Yahoo! use the platform to generate more than 1.5 billion pieces of content per year. Their sales jobs include a Senior Customer Experience Manager, Sales Executive, and Senior Sales Executive. Marketing jobs include a Data Journalist and a Technical Product Marketing Manager. Duke University spinout, Aerie Pharmaceuticals, has locations in Irvine, California, and Bedminster, New Jersey but just named Durham its headquarters. The Durham facility has over 45,000 square feet, 50+ employees, and is developing a 100-person U.S. sales force to support a second-quarter launch of their glaucoma products, Rhopressa and Roclatan. If you pursuing a sales job be sure to follow them as they ramp up their Salesforce to support these new drug products. Bandwidth’s solutions help allow users to connect with embedded voice and text for mobile apps and large-scale enterprise level solutions. The company provides 100% company paid health and dental insurance, 90-minute lunches for exercise junkees, free gym membership with shuttle service, Custom training programs, Lunch & Learns, and complimentary financial planning services. Be sure to check out their open sales jobs that include Client Development Manager, Director of Business Development, National Account Executive, Sales Director of Customer Acquisition, and 3 Sales Engineer positions. Marketers should be sure to attend the AMA Triangle event on April 19th. Noreen Allen will share tips from her experience at five different Triangle-based tech companies, which includes three IPOs, multiple fundraising rounds, and several M&A events. Brooks Bell, founded in 2003, is an optimization firm focused on enterprise-level A/B split testing, targeting, and optimization services. They help companies using enterprise-level testing platforms such as AdobeTarget, Monetate, Maxymiser, Optimizely, and Qubit, to improve their on-site testing capabilities and scale their optimization practices. Their Client list includes Chick-fil-A, Gap Inc., Abercrombie & Fitch, ToysRUs, Marriott, Dell, AOL, and American Eagle Outfitters. Open marketing jobs a User Experience Researcher and a User Experience Designer. Cohesity, a Silicon Valley storage startup with $160 million in venture capital backing is coming to Raleigh with huge growth plans that include adding 100 or more employees in 2018. Backed by investors such as Sequoia Capital, Wing Ventures, ARTIS Ventures, Google Ventures, Qualcomm Ventures, Accel Partners, Battery Ventures and Trinity Ventures it’s no mistake that they are in the backyard of NetApp and Nimble Storage. Currently, they have a need for a Sales Development Representative but be sure to keep watch for more opportunities. Cohesity has reported that they plan to hire local support, technical marketing, and engineering talent. Raleigh-based education technology firm LearnPlatform recently raised $3.2 million in a new round of financing. The company helps school districts manage and analyze the impact of their education technologies and was a 2017 Innovation Awards winner. The cash infusion will allow the firm to hire. Current openings include Data Analyst, Marcom Content Specialist, Marcom Digital Programs Specialist, Partnerships Representative, and VP of Partnerships. Downtown Raleigh’s Pendo provides a tool that companies can use to track key customer metrics to better understand how users engage with products and services and their mission to improve society’s experience with software. Despite all the accolades they’ve received and experiencing 400 percent revenue growth year over year, CEO Todd Olson says his greatest accomplishment this year is how they have managed to maintain and scale their company culture. He calls Pendo a ‘startup for adults’, where values like transparency and honesty are paramount. Pendo was founded in 2013 and has the following available positions: Technical Solutions Specialist, Customer Success Manager, Customer Success Operations Manager, Business Development Representative. Relias, expanded its focus from online training for the healthcare field to include analytics and assessments as well. Led by CEO Jim Triandiflou, Triangle Business Journal Journal’s 2017 Businessperson of the Year, Relias will be focused on growing its new business segments. Over the last five years have averaged a 20 percent organic growth each year, added about 150 employees in 2017 to reach 670 employees, and is waiting on the completion of its new headquarters at Perimeter Park slated for 2019. Sales jobs include a VP of Sales and a Manager of Corporate Enablement. Marketing jobs include Associate Partner Manager, Alliance Manager, Marketing Manager, Product Marketing Manager, and Marketing Research Specialist. StrongAuth, a veteran Silicon Valley firm providing security to governments and companies all around the globe is launching the Strongkey Tellaro product line, which brings the same security to small and medium enterprises for less than they spend on their photocopiers or so says Jake Kiser, CEO. The team is split between Cupertino, CA and Durham, NC and they are in need of a Chief Revenue Officer. Ortho Dermatologics, the rebranded dermatology division of Valeant Pharmaceuticals is planning 5 new product launches this year and growing the Raleigh team. Bill Humphries, executive vice president and group company chairman of dermatology at Valeant, explains that although Valeant’s U.S. headquarters is in Bridgewater, New Jersey, there exists a “nucleus” of dermatology leaders in the Raleigh area. You may remember that Valeant acquired Raleigh-based Salix for about $11 billion back in 2015. They are hiring a Senior Marketing Specialist. Be sure to check out our available positions at Lucas Select Inc., which includes a Regional Sales Manager for the Central Region, Outside Sales Executive, Public Relations Manager, Marketing Communications Manager, EHR Sales Executive for the Northwest, and EHR Sales Executive for the West. April 2nd features Debra Mathias presents Networking with LinkedIn. In her session, attendees will learn how to optimize their profile for visibility and manage interactions on the social network. Whether a job seeker looking for their next role or a B2B seller seeking their next opportunity, Debra will share the strategies for success. See http://www.amatriangle.org/link-plus-think/ for current meeting location, information, and registration. Sponsored by Bandwidth and Lucas Select, The AMA Triangle is hosting a Marketing Job Fair at Brier Creek Country Club on April 26th. 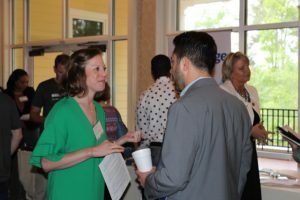 Numerous local Triangle companies will be exhibiting, including Align Technology, Bandwidth, Charles & Colvard, DesignHammer, Excelerate Digital, iContact, Lucas Select, Netsertive, TEKsystems, The Creative Group, and Zig Zibit. Attendance is limited so be sure to register here soon. 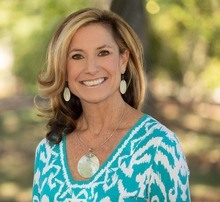 Tricia Lucas, Co-Founder of Lucas Select, has over 25 years of demonstrated success in recruiting, marketing communications, social media, technical sales, business development, and project management. 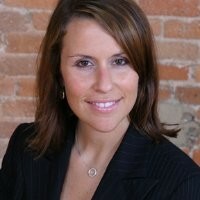 Tricia has been involved in 9 startup technology companies as well as sales and marketing roles at IBM, QMS-Minolta, SAS, and most recently Lucas Select, a recruiting and consulting company to help technology companies recruit more efficiently by focusing on Recruiting Efficiencies, Employer Branding, and Social Media.